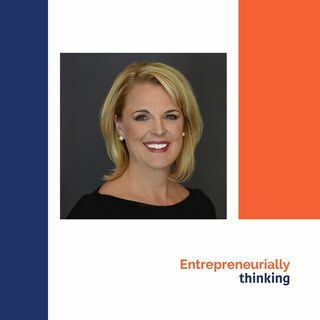 Joining us today is Erin Joy, founder of Black Dress Partners--a business consulting and coaching organization that helps emerging and evolving women business owners strategize, prioritize, and execute organizational growth as well as effectiveness. After 15 years of selling and consulting in the real estate industry, she founded Black Dress Partners in 2011. Erin is a third-generation female entrepreneur. She understands the rewards and challenges of starting a company and fueling its ... See More success. It is her life’s mission to provide female business owners with the resources, services, and support they need to be successful in business and life. - Details about the Midwest Women Business Owners Conference. - Erin has entrepreneurial lineage. Did her matriarchs face challenges similar to the ones of the women she works with today? - What trends are specific to women-owned businesses across industries. - Where women business owners are most effective. Least effective. Seeking direction. - "Hidden dangers” for women business owners. - Erin's overarching business philosophy. - How Erin creates pathways for success with her business. - How Erin creates pathways for success with her clients. - What’s her advice for women businesses owners to step outside of their comfort zone.